You can easily find out how much energy you use over 24 hours – on average. It’s printed on your electricity bill. Figure 2.1 How a typical electricity bill presents your daily consumption. 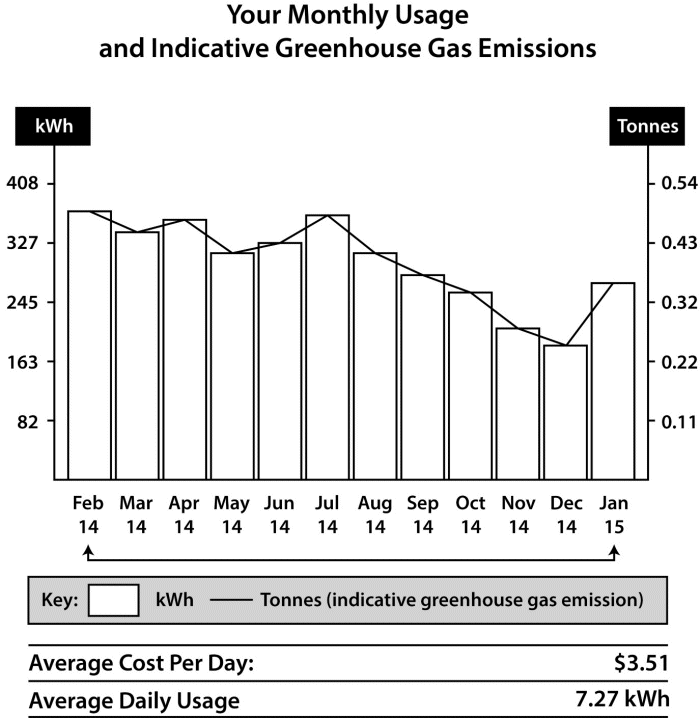 This household uses 7.27 kWh of electricity per day, averaged over the year (a very efficient home). Dig out a recent bill and find your average daily usage. 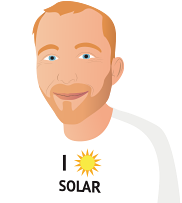 It’s probably between 7 kWh and 30 kWh, depending on your lifestyle and home efficiency. Now we have the absolute minimum we need to get started. We know your average grid electricity usage for 24 hours. Bear in mind that this figure may vary with the seasons. If you have electric heating or cooling and you use it a lot more in summer and winter than in spring and autumn, your daily usage for the winter and summer will probably be around 6 kWh more. But let’s not complicate things – in my experience, the average values are good enough. To measure your energy use, you first need to understand how electricity is connected to your house and how it is metered. This lack of understanding is so widespread because metering and billing is confusing. If you want to take control, you’ll need to put some work in to understand your electricity connection, your metering and your bill.